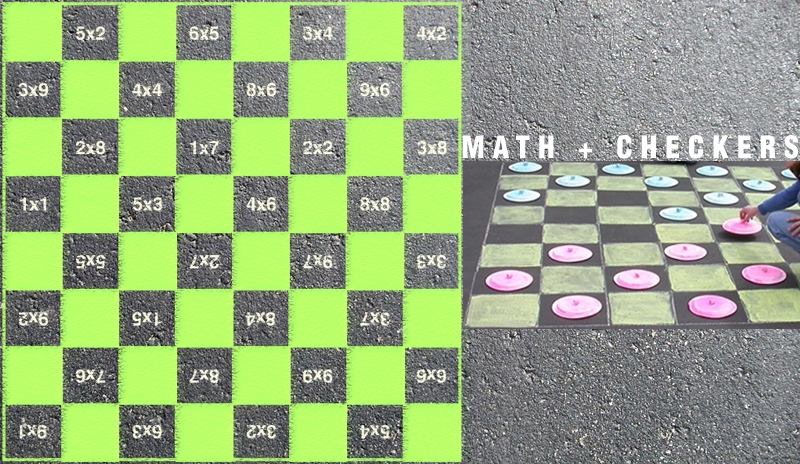 Practice your math skills by playing checkers! Check out Relentlessly Fun, Deceptively Educational for a milk cap version (addition and subtraction). Add math equations to the blank boxes and you're ready to play! Kids move their checkers across the equations and try to solve them! Thanks, Erin, for linking to my site to share our DIY math checkers game! I REALLY appreciate it!